Premier Enclosures > Walk In Shower Enclosure & Tray (Left Handed, 1395x906). 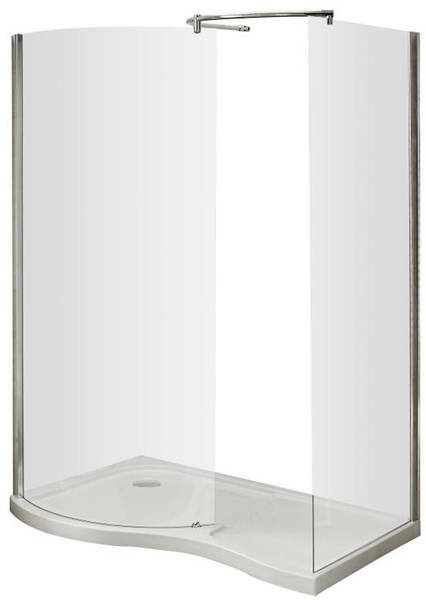 Premier Pacific curved walk in universal shower enclosure in chrome with tray (left handed). Side panel size: H1850 x W1395 x D906 mm. 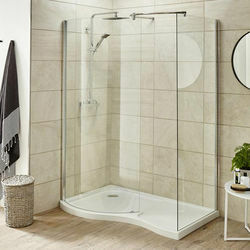 Lifetime guarantee: Premier guarantee this shower enclosure for a lifetime. 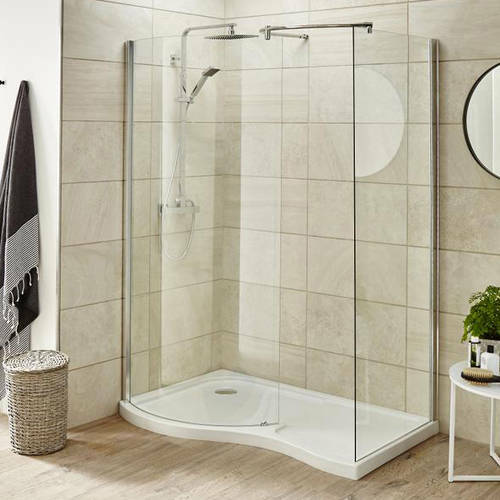 Premier's exclusive range of high quality shower enclosures are manufactured from the finest materials and will make a focal point in your bathroom. Premier guarantee their shower enclosures for a lifetime.